To spark human greatness in every single child by discovering and then nurturing each child’s unique gift. To create learning environment that accommodates all individual learners providing them with opportunities to maximise their inherent potential. Our ultimate and cherished dream is to capture the latest and most innovative learning and teaching techniques and to introduce them successfully in India and across the world. KKEL believes that children have a right to stress-free childhood, and we have shown that education can be a happy medium to gain knowledge. Learning can be and should be fun. Our belief is that all children should have the opportunity to experience the joy of discovery and develop a love for learning. Brain research states that the ‘wiring’ in a child’s brain is positively affected by nurturing relationships and enriching environments. 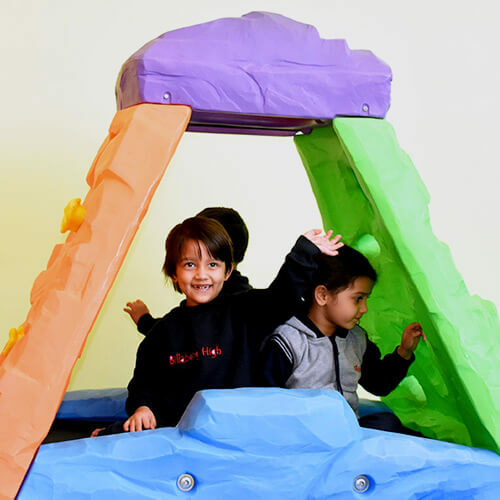 Our learning environment includes the set-up of various interest areas which encourage independence and autonomy where children learn how to get along with others, express individual thoughts, solve problems, and most importantly develop empathy towards others. Parents play an equal role in realising the vision of the school by walking hand-in-hand in the early stage of learning. One size doesn’t fit all; it is important to accommodate all individual learners, providing them opportunities to grow at their own pace and optimise their inherent potential. 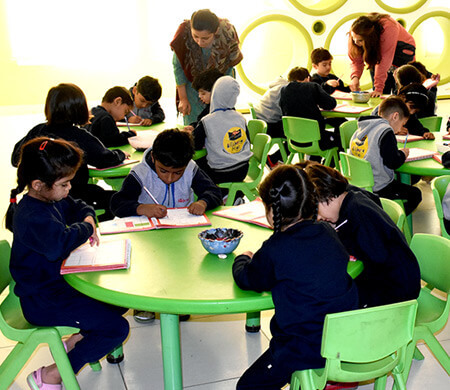 Our curriculum strongly emphasises on children’s intellectual (cognitive), language, social/emotional, physical, creative and aesthetic development and is based on latest research and pedagogy. When the brain is engaged and excited, it releases a chemical called ‘dopamine’. When the dopamine levels are high in the brain it is likely to remember and recall what is learnt, making learning novel, exciting and rewarding. Vygotsky’s focus on social aspects of children’s cognitive development. Maria Montessori’s principles of using their senses and incorporating materials to facilitate learning. Each child has a way of learning and engaging with the world unique to him/her, which is referred to as intelligence. 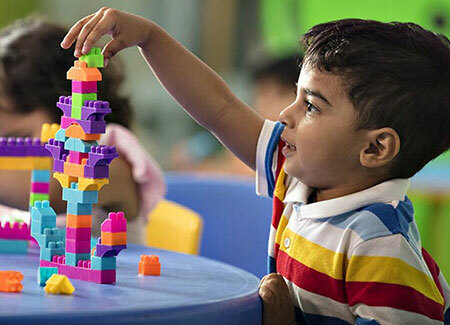 Integrated, Interdisciplinary and Theme-based learning make neural connections between the different in the brain leading to holistic development. Essential critical thinking skills allow children to solve problems through trial and error, reflect, think independently and evaluate alternatives. The teacher/facilitator plays a vital role of in our learning environments. Mentors are constantly trained and empowered to achieve an optimal balance between self – initiated learning and adult guided and supported learning. 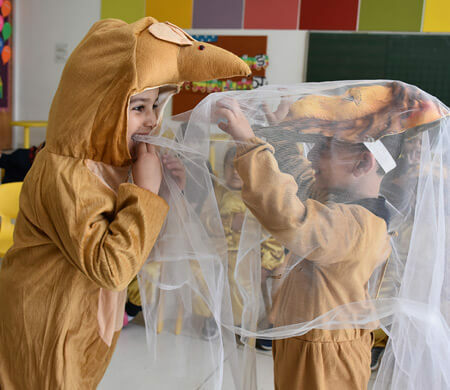 Culminating activities and special events showcase and extend children’s learning. 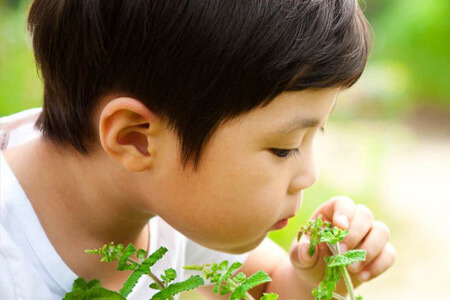 These provide an opportunity for parental involvement and are a critical tool for creating ‘episodic memory’ – memory created through sights, sounds, smells, tastes, touch, location & emotions. Children learn best through direct experiences as they connect their learning to the ‘real world’. 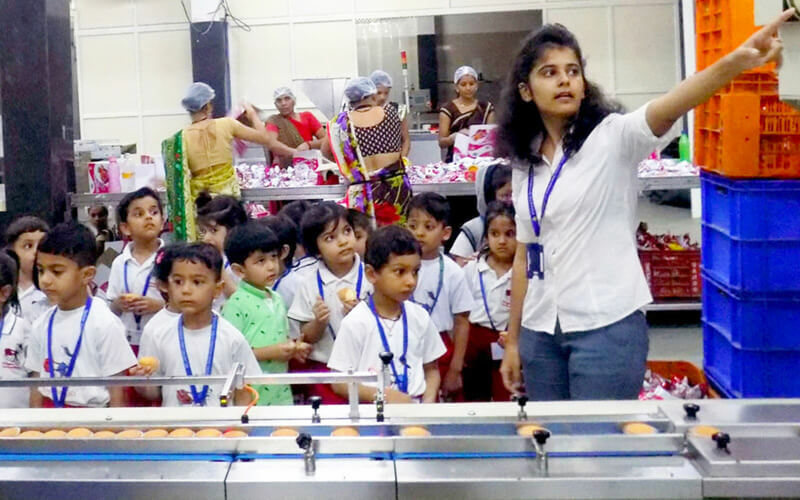 Field trips and guest lectures are linked across all concepts.